High Fired Ceramic beads from Greece. These would look great on a leather or cord bracelet or used as spacers on a necklace. The hole is 2.5mm and can accommodate leather, ribbon, narrow chain, cord, etc!!! 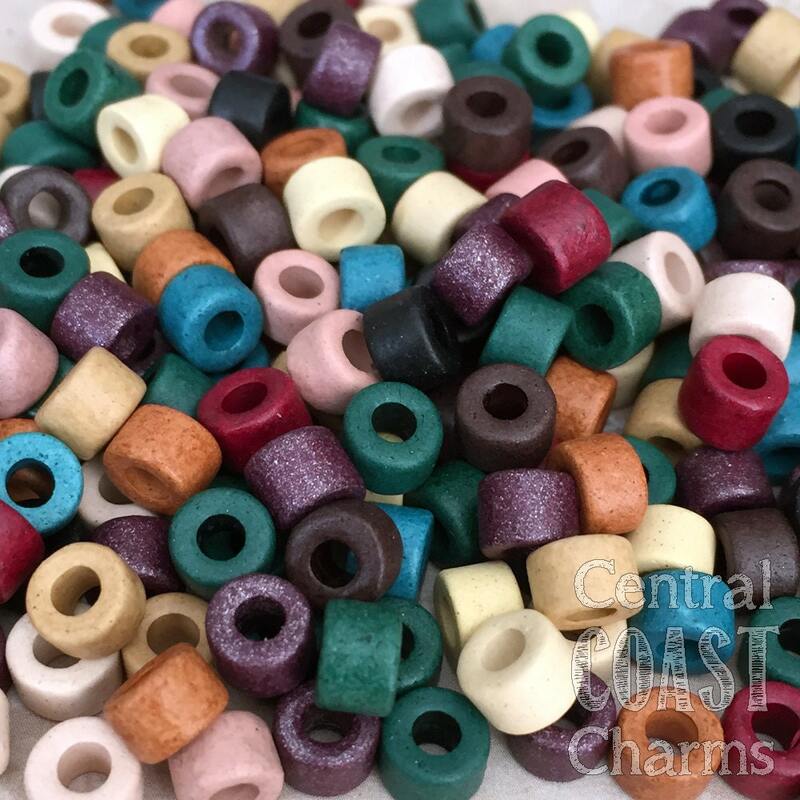 Love the color of these mykonos beads!